The Focused Field CBCT 3D digital scanner is useful in the diagnosis of orofacial pathology. It can be used to asses general root morphology, the number of roots and the location of canals. Frequently a tooth has an infection that is not seen on the standard dental X-ray but which can be seen on the CBCT image. The CBCT is also useful in diagnosing the size and location of internal and external resorptive defects, cracked teeth due to trauma, perforations, and the proximity of roots to anatomical structures (Nerves and Sinus). Proper diagnosis is critical to determining the cause of symptoms. 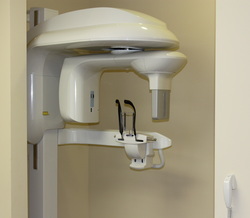 A CBCT scan can assist in determining if a previously root canal treated tooth should be retreated, surgerized or extracted without the need for exploratory procedures. Measurements of roots and distances to anatomical structures are easily obtained making treatment more precise. A typical 3D image showing the extent of the infection on a previously root canal treated tooth. Our office uses an endodontic practice management software called The Digital Office (TDO). It is the cornerstone of our office and is used by all members of our staff. 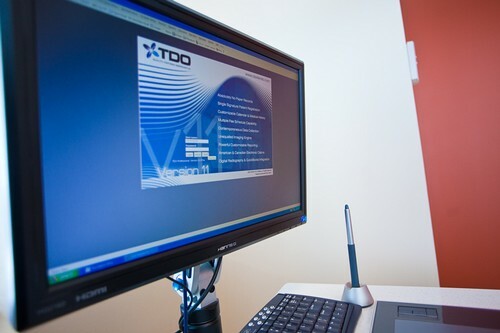 Designed by endodontist Gary B. Carr, every aspect of TDO allows us to diagnose and treat patients more efficiently and run our office more effectively. The software consists of modules that structure the way in which we manage our patients. From the initial checkin process to the time a patient checks out, TDO allows us to enhance every aspect of a patient's office experience. By using software specifically designed for endodontics, our staff have the ability to place patient outcomes at the forefront of everything we do. By having all recording keeping and charting occur digitally, we eliminate double entry and problems faced by more traditional endodontic practices. The Clinical modules that we use are recognized as the gold standard in endodontic recordkeeping. Our Communication modules are the most advanced in the field of endodontics. They allow staff to communicate rapidly and without any delays. Our final treatment reports are entirely customizable which ensure that our general dentists get the information they need in a timely manner. 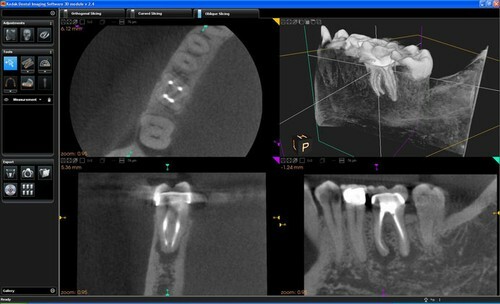 Every module of our software has been thoroughly vetted by thousands of endodontists around the world. We are proud to say that we are a TDO office.